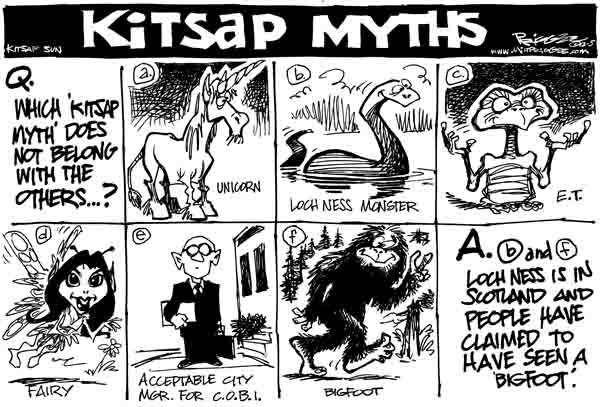 Here’s a batch of Milt Priggee’s comic takes on the Bainbridge city manager search, plastic bag ban, Winslow Way-Highway 305 park project and the reputation of Bainbridge police. The group of islanders working to transform the former Unocal gas station lot into a public park has set its first public participation meeting for Feb. 16. The meeting, which starts at Bainbridge Commons (370 Brien Drive) at 7 p.m., is aimed at gathering ideas for the 1-acre park’s design. The group got the City Council’s OK on Wednesday to begin the planning process after they promised to foot the entire $300,000 park-building bill. The site is at the southwest corner of the Winslow Way-Highway 305 intersection. It has sat vacant and surrounded by a fence since 1989. 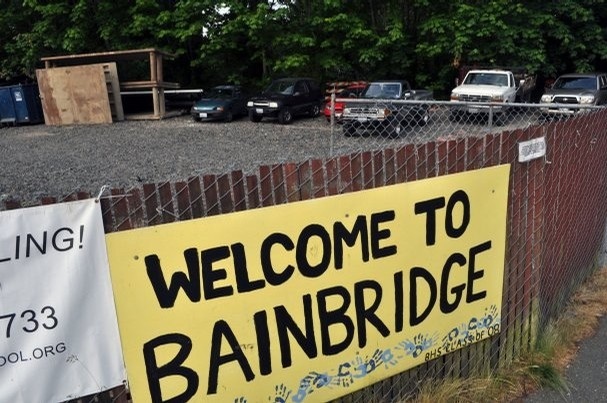 The group, which calls itself the Bainbridge Park Task Force, considers the site an eyesore, and provides a poor welcome to visitors unloading from the ferry or streaming into Winslow from the highway. For more information, see their blog here.